Fitted, pullover top and dress have neck band and princess seams. A: Narrow hem on sleeves. A, B: Lower bands. Shorts and pants (close fitting through hips) have elasticized waistband and side front pockets. Sleeves B, hem C, D: Stitched hems. E: Leg bands. Lined lounge socks have sole and purchased ties and pom poms. Lounge socks in sizes small (91 4inch), medium (93 4inch) and large (101 4inch). For moderate stretch knits only. 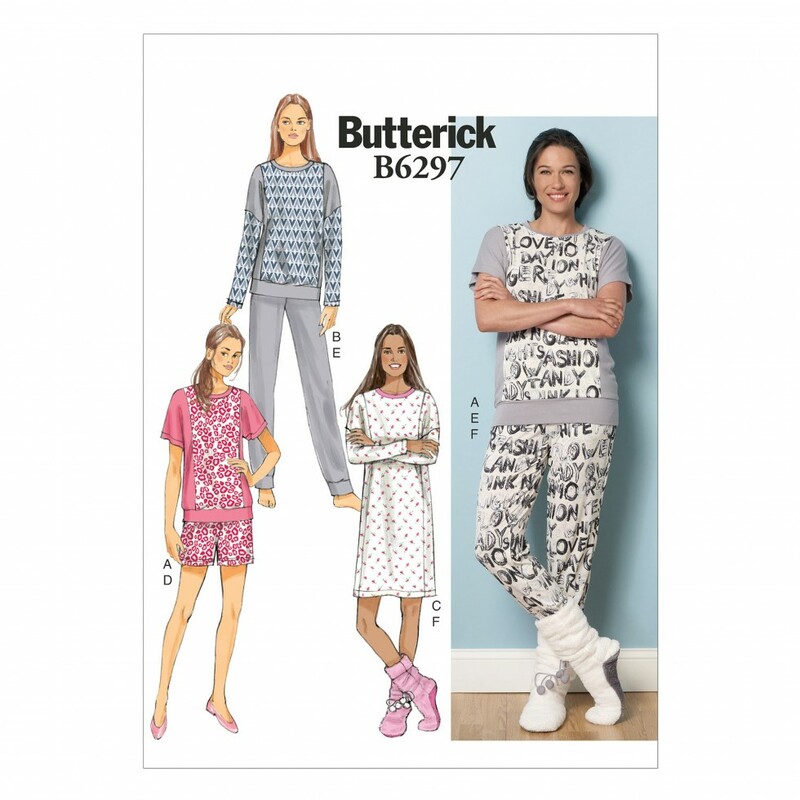 Suggested Fabrics: Cotton Interlocks, Polyester Knits, Jerseys. F: Micro Fleece, Fleece, Sherpa. Lining E: Fleece. Designed for lightweight moderate stretch knits.